Well, a lot of folks are starting to do their holiday shopping, and there are a lot of people who love to give and receive the gift of bourbon. Whiskey shopping around the holidays can offer some great deals on holiday gift packages. A lot of distilleries will issue box sets where you might get a 750 ml bottle with some glassware or some 50 ml samples of other products. Even if you are just looking to treat yourself, holiday box sets are always good fun. 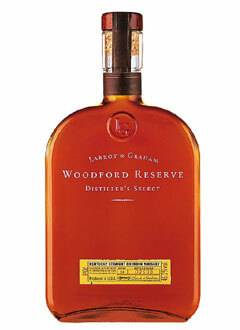 Woodford Reserve’s holiday gift set includes two Woodford glasses. Before I get into my recommendations for the bourbon lovers on your list, I need to issue two disclaimers. First, if you are a bourbon lover like myself, that does not give you the right to supply others with bourbon in hopes they will give you half the bottle because they don’t like bourbon all that much. Secondly, taste is personal, and your favorite whiskey might not be tolerable to somebody else. That said, do some research on the person you are giving the gift to and the bottles you are thinking of buying to give the best gift possible. Of course, that is where I want to offer some helpful suggestions that won’t break the bank. For the bourbon newcomer on your list: This is the person on your list who has never had bourbon (or any other whiskey) before, but they have put bourbon on their holiday wish list. Don’t get them anything over 90 proof, and don’t get them anything will do dense a flavor profile. My main recommendation is Four Roses Yellow Label. It is light, and it gives a good introduction to whiskey without it being too complex. It is also a great value buy. If you are looking for something a little fancier, try Basil Hayden’s. It is also a light, well-balanced whiskey. Both of these presents will leave the recipient craving another bottle of bourbon. For the bourbon novice on your list: This is the person on your list that has been getting into some starter bourbons of late, but he/she looking is looking to enjoy some craft bourbon. My recommendation (if you can find it) is Elmer T. Lee. It is a single barrel bourbon that is indicative of what bourbon should be. It won’t break the bank, but it is a monstrous step up from Jim Beam and Maker’s Mark. However, Elmer T. Lee is hard to find. If you can’t lay your hands on that one, Buffalo Trace is a great alternative. For the bourbon admirer on your list: This is the person who has been casually drinking bourbon for a few years, and it is one of their favorite drinks. This person is one of the easiest people on your list because they will probably like your gift. That said, here are a couple of the quintessential craft bourbons that make great gifts. Eagle Rare 10 yr. and Woodford Reserve are two readily available bourbons that always make great gifts. If you can find it, Four Roses Single Barrel is a great offering if you are willing to spend a few extra dollars. For the bourbon connoisseur on your list: This is the person who loves bourbon, and gives a lot of thought and attention to their bourbon. Among bourbon connoisseurs, there are a few whiskeys that you can rarely go wrong with. If you find anything from Buffalo Trace’s Antique Collection, Stitzel-Weller/Buffalo Trace’s Van Winkle Collection, Heaven Hill’s Parker’s Heritage Collection, or Four Roses Limited Edition Collection (and you can swing the bill), pick it up. It is a rare occasion that I read a bad word about any of these bourbons, but they are all pretty hard to find. That said, barrel strength bourbons are always a great gift for the bourbon connoisseur on your list. Noah’s Mill, Booker’s, and Willett Single Barrel (barrel strength) are all great gifts to open and great bourbons to drink. For the vain bourbon drinker on your list: This is for that bourbon drinker that likes to sit in a smoking jacket with a $100 cigar while they enjoy their bourbon. Hardly a value bourbon drinker, but for somebody like this, appearance is everything. So, I would recommend a bourbon with a cool bottle and a long, uppity-sounding name. My first recommendation is Willett Pot Still Single Barrel Reserve. The bottle looks like you paid $100 dollars for it, but you didn’t even spend half that. What is in the bottle is pretty good, too. My other recommendation is the fancy horse-stopper of Blanton’s. It is a solid, all-around bourbon that has a very distinguished bottle. For the rye whiskey drinker (looking to get into bourbon) on your list: This is for the rye drinker on your list that has mentioned wanting to get into bourbon. I would definitely recommend a rye-heavy bourbon. If you are thinking of a light, drinkable, full-flavored rye-forward bourbon, look no further than Russell’s Reserve 10 yr. If you are thinking monstrous, full-bodied, intense rye-forward bourbon, look no further than Wild Turkey 101. Both these bourbons are great choices for rye lovers. For the Scotch whisky drinker (looking to get into bourbon) on your list: This is for the Scotch (I’m thinking Speyside) drinker on your list who normally finds bourbon too heavy and sweet for their palate. The bourbon to give to them is Four Roses Small Batch. It is light, floral, and fruity, but it still possesses a lot of bourbon qualities. Basil Hayden’s is usually a good gift here, too. For the liqueur drinker on your list: The best bourbon-based liqueur on the market is Wild Turkey American Honey. Hell, even I drink it every once in a while on a hot summer’s day. Those are my thoughts on buying bourbon for the holidays. If the person on your list falls outside any of these categories, leave a comment or shoot me an email at thedagupeir@gmail.com. Let it Ride! Elmer T. Lee is a single barrel bourbon from Buffalo Trace Distillery. It takes it’s namesake from Elmer T. Lee, a former Master Distiller at Buffalo Trace. Despite the fact that Elmer Lee no longer oversees all of Buffalo Trace’s operations, it is said that he still personally selects the barrels that are used to age Elmer T. Lee Single Barrel Bourbon. Like Eagle Rare 10 year Single Barrel, Elmer T. Lee is bottled at 90 proof and is reasonably priced (usually under $30 a bottle). On the nose, Elmer T. Lee is sweet with maple and vanilla, all held together well with a backbone of rye spices. There are some light citrus notes that come up as the whiskey sits in the open air for a few minutes. The palate begins as zesty, with some citrus and floral tones, but it quickly fills out with caramel, maple sugar, and vanilla. The back of the palate picks up some rye spice as the whiskey finishes its journey. The finish is deliciously sweet, mostly from rich notes of caramel and maple sugars. There is also some peppery, drying oak that comes up now and again. Overall, Elmer T. Lee continues the fine tradition of great value whiskeys from Buffalo Trace. This is a delicious single barrel bourbon. The flavor profile reminds me a lot of Blanton’s Original, although Elmer T. Lee is nearly half the price of Blanton’s, making it the much better buy. My grade: B-/B. Price: $25-30/750ml. This is a good sippin’ whiskey, worth keeping on your shelf as often as you can. I am often asked, “What’s your favorite whiskey?” Honestly, that is like asking me to name a favorite child, favorite beer, favorite song, or favorite movie. I have many favorites, and many of these depend on my mood, and the money in my wallet. However, I have recently had a request from my good friend, Kate at http://www.kateampersand.com/ for some recommendations for how to give the gift of whiskey. I have reviewed about 40 whiskeys on the site so far, and here are my favorite whiskeys out of those 40 at different price points. The prices used are the approximate prices for 750ml of the whiskey. Best Whiskey under $20: Old Grand-Dad Bottled-in-Bond (https://bargainbourbon.com/2012/08/17/old-grand-dad-bonded-review/). This is a very good, rye forward bourbon, with a lot of power. It doesn’t have the complexity of some other high rye bourbons, but it is hard to beat for $18 a bottle. Runner-up under $20: Four Roses Yellow Label (https://bargainbourbon.com/2012/03/14/four-roses-yellow-label-review/). In comparison to the power of Old Grand-Dad (bottled at 100 proof), the Yellow Label is a delicate rye-forward bourbon. There is a lot of light spice that tingles the tongue and the nostrils, but it doesn’t quite have the depth of Old Grand-Dad. Nevertheless, Four Roses Yellow Label is a great buy. Best Whiskey under $25: Rittenhouse Rye Bottled-in-Bond (https://bargainbourbon.com/2012/07/28/rittenhouse-rye-review/). Not only is this whiskey a great value, it is a great whiskey. There is a ton of complexity, ranging from spiciness to sweetness to a rich earthiness. If you want to impress somebody, buy them this whiskey for their birthday. Trust me, they will think you spent a good amount on it (especially if you put it in a fancy decanter since the bottle design is not especially flattering). Best Whiskey under $30: Rittenhouse Rye Bottled-in-Bond. It still reigns supreme; it’s just that good. 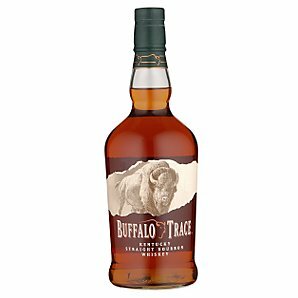 Runner-up under $30: Buffalo Trace (https://bargainbourbon.com/2012/03/31/buffalo-trace-review/). It is the bourbon that turned me on to bourbon a number of years ago, and it continues to impress. It is not overly sweet, leaving the vanilla to be blended perfectly. It is like eating a perfectly balanced cheesecake (sort of). Best Whiskey under $35: Russell’s Reserve 10 yr (https://bargainbourbon.com/2012/07/12/russells-reserve-10-year-bourbon-review/). Finally, Rittenhouse was dethroned. Every time I drink Russell’s Reserve, I am amazed at how wonderfully structured it is. It is like reading a great novel, where the plot unfolds precisely when it should. Runner-up under $35: W.L. Weller 12 yr (https://bargainbourbon.com/2012/08/28/w-l-weller-12-year-review/). This is exactly what a wheated bourbon can achieve. It is sweet, but complex, demonstrating the many phases of a sweetness. It reminds me of eating buttermilk pancakes smothered in cinnamon sugar and maple syrup (except not as filling). Best Whiskey under $40: Four Roses Single Barrel (https://bargainbourbon.com/2012/08/14/four-roses-single-barrel-review/). Although this is a single barrel whiskey (meaning there will be some difference between batches), I’ve never had a bad batch of this whiskey. It is plainly brilliant. It has the all the spicy rye character of Four Roses Small Batch, but it demonstrates a whole other layer of complexity with a sweet, dark palate. Runner-up under $40: Russell’s Reserve 10 yr. It has rightly remained high on my list even at a higher price point. Best Whiskey under $50: Bunnahabhain 12 yr (https://bargainbourbon.com/2012/08/22/bunnahabhain-12-year-review/). This is really a brilliant Islay whisky. The sherry influence is strong, but the Islay peat hangs around to provide a perfect balance. Although this is not a traditional Islay whisky, it is my favorite value. Runner-up under $50: Four Roses Single Barrel. Yes, it can compete with whiskeys that reach above its price point. Runner-up under $60: Bunnahabhain 12 yr. As many of you are aware, Scotch is expensive. However, I have yet to find a better value among Single Malt Scotch than Bunnahabhain. I am stopping at $60, because most people that read this blog are seeking value bourbons. If you like some recommendations for higher price ranges, feel free to email me at thedagupeir@gmail.com. I would also recommend that you read the reviews of these whiskeys before purchasing them, just to make sure it sounds like something that will truly be enjoyed by whoever is its lucky recipient. Let it ride! 10. 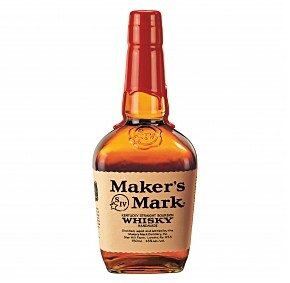 Maker’s Mark – The wax-dipped top of Maker’s Mark is probably the most iconic symbol in the bourbon world. However, the rest of the bottle leaves something to be desired. Nevertheless, any whiskey drinker recognizes the red wax as Maker’s Mark. 9. Buffalo Trace – The epic bison on the front makes for an epic packaging. It also makes for an awesome logo for Buffalo Trace Distillery. 8. 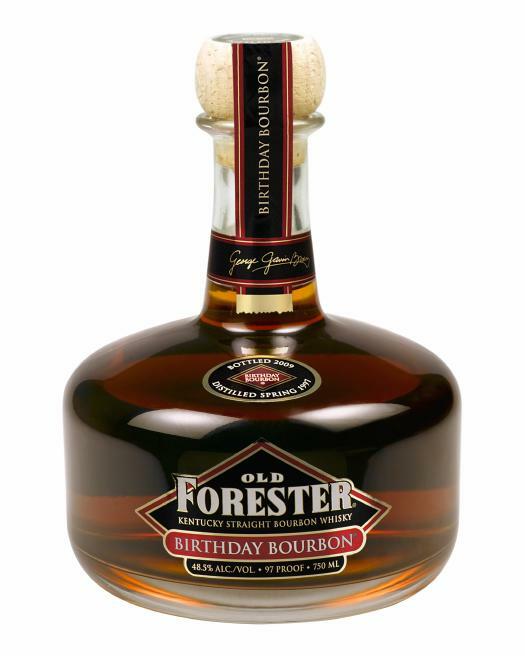 Old Forester Birthday Bourbon – I believe that Old Forester is one of the best value bourbons you can find. However, Brown-Forman also produces the Birthday Bourbon, a higher-end version of Old Forester. It comes in an old-fashioned decanter-style bottle that exudes class. 7. 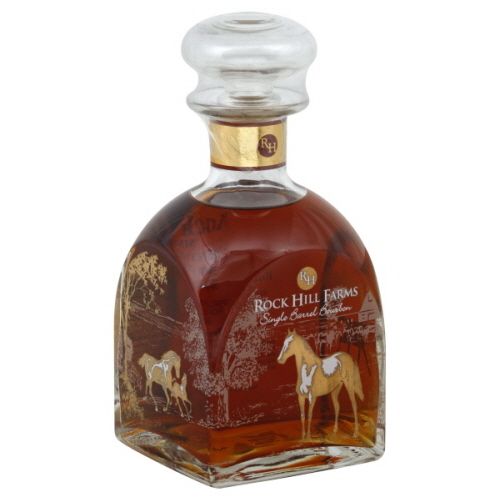 Rock Hill Farms – This single barrel bourbon comes in a sleek, square bottle with horses and forest landscapes decorating the bottle. It is a bottle design that could inspire some fine bourbon-induced poetry. 6. 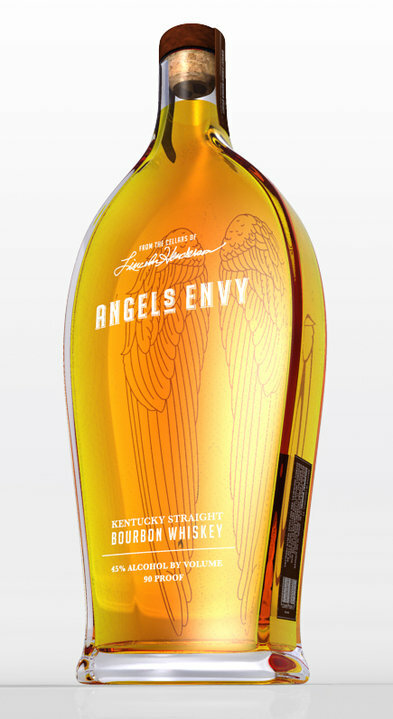 Angel’s Envy – The Angel’s Envy looks divine, with its angel wings and massive size. It seems to tower over almost everything else on the shelf at the liquor store. 5. 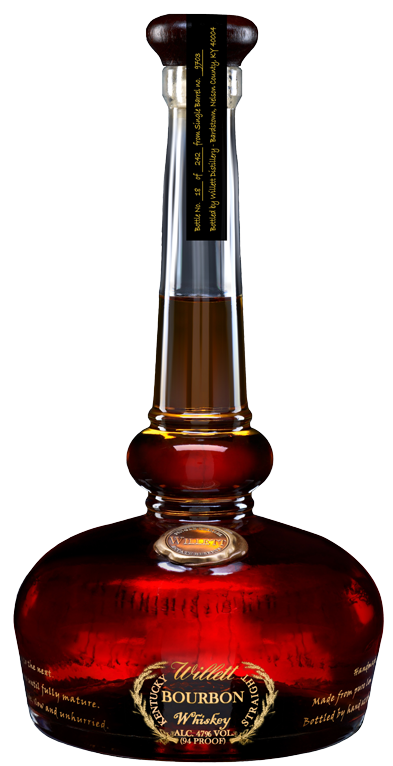 Willett Pot Still Reserve Single Barrel – Speaking of tall bottles, there are few bottles taller than the decanter-style of Willett Pot Still Reserve. It just looks awesome. You can’t buy a bottle and not feel on top of the world. 4. Eagle Rare 10 yr. Single Barrel – This bottle is just plain epic. It is tall and elegant, but the eagle on the front and the jagged edged label also makes it seem bold and rugged. 3. Pappy Van Winkle Family Reserve (15 yr., 20 yr., 23 yr.) – All three of these bottlings are recognizable by the picture of Julian “Pappy” Van Winkle, Sr. on the front of the bottle. He is puffing on a big cigar (and most likely drinking some good bourbon). There are few things more iconic than a bourbon legend like Pappy. 1. 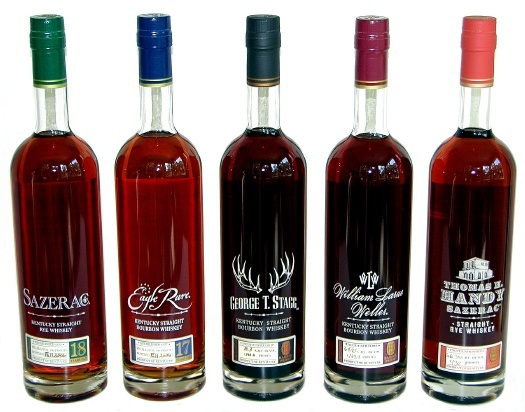 Buffalo Trace’s Antique Collection (George T. Stagg, William Larue Weller, and Eagle Rare 17 yr.) – These three bourbons are consistently among the contenders for bourbon of the year, and there bottle designs are indicative of the quality. The bottles are tall and powerful. There are no fancy designs on the bottles, allowing you to see the perfect color of the whiskey. Even more so than Woodford Reserve, the Antique Collection’s bottle designs say, “No frills needed, this is great whiskey.” And judging from the only one I’ve tried (William Larue Weller), the bottles don’t lie. These are my favorite bottle designs (I’ve included pictures below), what are yours? Leave me a comment, and let me know if I missed any. In honor of July 4th, a day when many folks will be eating a ton of food, I thought I should do a post of my favorite foods to drink bourbon with. Of course, bourbon is a big, flavorful spirit that is certainly not in need of a food pairing. However, it is July 4th, and bourbon whiskey is America’s native spirit, so why not try a few fingers of bourbon with some of good food? 10. Peanuts – Of course peanuts are a beer companion. However, I think they go well with certain types of bourbon as well. I think peanuts go especially well with oaky bourbons, so maybe try a bottle of Rowan’s Creek next time you are shooting pool and munching on peanuts. 9. Apple pie (a la mode) – I find that the sweetness of an apple pie is bolstered well by a full-flavored bourbon with a lot of brown sugar and caramel flavors. If you’re up for it, try a finger or two of Booker’s with your apple pie this evening. 8. Pistachios – Pistachios are another great beer companion that also works well with bourbon. I like a big bourbon with my pistachios to compliment the big pistachio flavor. Take it slow, and enjoy a long evening with friends, pistachios, and a bottle of Eagle Rare 10 year. 7. Fresh Peaches – Fruits are a great bourbon companion, and I have found that peaches have a delicate enough flavor to compliment bourbon well. Peaches are a fantastic pairing with the subject of my most recent bourbon review, Jefferson’s. 6. Cheese and Crackers – Crackers are especially good for a bourbon tasting because they will clear the palate to ready you for more bourbon. However, a light-bodied cheese with some crackers is a fine snack for the next summer evening with friends. Like with peanuts, I usually like a big, oaky bourbon with my cheese and crackers. However, a flavorful, rye-forward bourbon like Wild Turkey 101 also makes for a great evening. 5. Banana Bread – Banana bread has a tempered enough flavor profile to make for a very good bourbon companion. I find that banana bread goes especially nice with a balanced, sweet bourbon. This is where I recommend a bottle of my favorite value bourbon, Buffalo Trace. 4. Dark Chocolate – A few bites of a bitter dark chocolate can really set off some amazing flavors in the palate of a bourbon. If you were to indulge in some Old Forester with some dark chocolate, you mind just find a whole new reason to love a great value buy like Old Forester. 3. Pecans – Of all the nuts that I have on my list, pecans are soundly my favorite to drink bourbon with. They have a natural ability to compliment sweet flavors very well, which is probably why they top so many desserts. Although I have only tried this pairing on one occasion, I was extremely pleased with the way pecans tasted as I was drinking William Larue Weller. 2. Cheesecake – Cheesecake is one of my favorite foods, with its soft, seductive flavors and texture. It goes great with bourbon because it will not overpower the palate. If you want to make your 4th of July a memorable one, I would highly recommend a slice of cheesecake and a glass of Woodford Reserve. 1. Steak – A nice cut of steak is my all-time favorite food to drink bourbon with. For some reason, the savory flavors of a steak always seem to go right along with a great summer bourbon. There are few things in life that I enjoy more than eating a good steak, and washing it down with a glass or two of Basil Hayden’s as the sun sets on a warm summer’s eve. Of course, most of the time, I drink bourbon before or after a meal, not during. However, if you would like to try some bourbon and food pairing, I think these ten foods are a great place to start. Please comment and let me know which great bourbon foods I’ve left off my list. Let it ride!